A/Prof. Williams obtained a B.Sc. (Hons) and Ph.D in synthetic organic chemistry from Flinders University (South Australia) under the supervision of Prof. Rolf Prager. 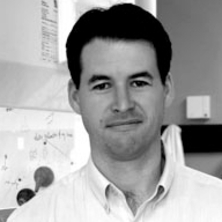 He held an Alexander von Humboldt post-doctorial appointment at the University of Göttingen in Germany (Prof. Armin de Meijere) and an Australian National University post-doctorial fellowship in Canberra (Prof. Lewis N. Mander) before being appointed as a Lecturer in Organic Chemistry at the University of Queensland in 2000. Currently he holds the position of Associate Professor supported by an Australian Research Council Future Fellowship. A/Prof. Williams’ is the Group Leader of the Natural Products Total Synthesis group in the School of Chemistry and Molecular Biosciences, Faculty of Science at the University of Queensland. He is an organic chemist with a research focus and expertise orientated around constructing and attempting to construct very complex biologically active natural products and drug like molecules. These projects have instilled highlevel chemical competency within his group, which allow the team to tackle both simple and complex problems in associated areas such as medicinal and physical chemistry. Targets and areas of expertise cover diterpenes, diterpene alkaloids, alkaloids/opioids, tetranortriterpenes, polyketides, polycyclic hydrocarbons, saturated and unsaturated nitrogen, oxygen and sulfur containing heterocycles. A/Prof. Williams also undertakes isolation and elucidation of natural products, although much of this work has not been published due to commercial in confidence research contracts with local BioTechnology companies. He has published more than 100 scientific papers, patents, review articles and book chapters. Since starting his independent career in mid 2000 CMW has attracted substantial research funding as a sole investigator through fundamental and applied research and associated industry engagement (UQ, ARC, NHMRC, DPIF, CSIRO, DAAD, BioTech). Williams has supervised over 80 young researchers to date. H factor = 16. A mechanistic investigation into the zinc carbenoid-mediated homologation reaction by DFT methods: Is a classical donor-acceptor cyclopropane intermediate involved? Competition between cluster fragmentation, C-C bond coupling and C-X bond activation in silver hexynyl cluster cations, [(C4H9CCAg)(n)Ag](+). Size does matter! Nitrogen is a requirement for the photochemical induced 3-azabicyclo[3.3.1]nonane skeletal rearrangement! Williams, C. M., Bernhardt, P. V., Wiedemann, S. and Barden, M. C. (2003) The synthesis and X-ray crystal structure of 9-carboxyhexahydro-7-methoxy-4a,7-ethano-benzopyran-5-en-1-one. Journal of Chemical Research (S), 12 12: 784-785. Williams, C. M. and Bernhardt, P. V. (2003) The synthesis and X-ray crystal structure of 6-bromo-2,4,4-trimethyl-cyclohex-2-enone. Journal of Chemical Research-s, 7: 410-411.
de Meijere, A, Stecker, B, Kourdioukov, A and Williams, CM (2000) An unprecedented stereoselective titanium-mediated dihydrodimerization of allyl ethers and allylamines. Synthesis-Stuttgart, 7: 929-934. Prager, RH and Williams, CM (1999) Base-catalysed rearrangements of 5-oxodihydroisoxazoles. Heterocycles, 51 12: 3013-3030. Kibbler, H., Williams, C. M., Williams, R. R. and Johnston, M. E. (2004) Adventitious Root Formation In Cuttings Of Backhousia citriodora F. Muell: 1 Plant Genotype, Juvenility And Characteristics Of Cuttings. Kibbler, H., Williams, C. M., Williams, R. R. and Johnston, M. E. (2002) Inhibition Of Adventitious Rooting In Backhousia Citriodora F. Muell. Cuttings Correlate With The Concentration Of Essential Oil. New organic chemistry based pyrotechnics for defensive flares. Towards the Total Synthesis of 5ß-Hydroxy-Cis-Dehydrocrotonin And Development of Novel Methodology in the Synthesis of Cis-Vinylstannanes and Cis-Vinylpinacolboronates.